Getting involved at Weatherquest can take many forms, from correspondents to internships or even permanent full-time roles. Our offices are located in the award winning Enterprise Centre on the campus of the University of East Anglia. The UEA is a vibrant place to work and offers a full range of amenities for its staff and students, including the state-of-the-art Sportspark and the LCR, a popular concert venue. 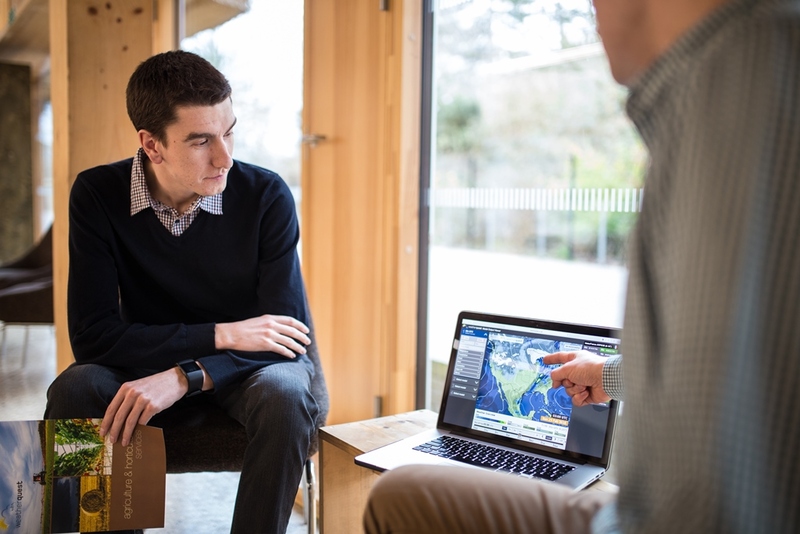 The UEA is also the base for the East Anglia Centre of the Royal Meteorological Society, with talks being held once a month during university term time. Our placements are generally awarded to UEA students, as part of the Year in Industry programme run by the university. Past placement students include Emma Sharples (now a forecaster at the UK Met Office), and Dan Holley who since graduating now works as a full-time Meteorologist and IT Specialist here at Weatherquest. Weather is international in scope and we welcome internship applications from European students who can be funded through the ERASMUS programme or from graduates seeking funding through the LEONARDO programme. Even if there are no suitable vacancies, we still invite you to send your CV and cover letter explaining your interest in working for Weatherquest. Whilst we try to respond to everyone, this isn't always possible.